Heat oven to 400F. In 15 x 10 inch baking pan, toss vegetables with oil, thyme, garlic, salt and pepper. Bake about 35 to 40 minutes, or until vegetables are crisp-tender, stirring halfway through. Stir in cooked quinoa; bake an additional 5 minutes or until hot. Spoon vegetable mixture onto 4 plates. 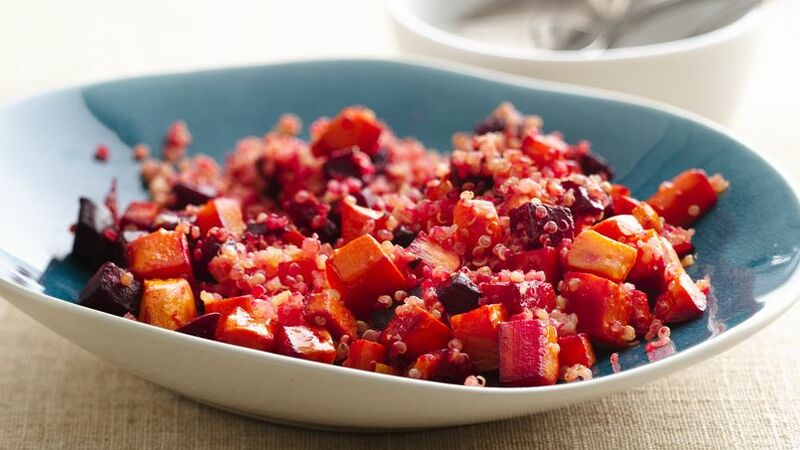 Cook quinoa with roasted vegetables for a flavorful side dish.